Howdy! Hope all y'all are having a great Question Evolution Day! When someone commences to telling lies, it usually brings an uncomfortable feeling along with it — at first. More lies get told, and it becomes easier. Some folks are so used to lying, they do it automatically. There are those who get so accustomed to lying, they are suspicious of others, even becoming unable to discern deception from disagreement, humor, or error — especially when they have a precommitment of rejecting the truth of another's position. This is easily seen in atheists and anti-creationists, who are unwilling to even consider the truth of biblical creation science, or to admit that God exists (Rom. 1:18-23, Psalm 53:1). When someone lies, it often escalates in another way: having to tell more of them to make a convincing story. Lots of details need to be kept straight, and the whole tall tale becomes so cumbersome that people get caught by the details. 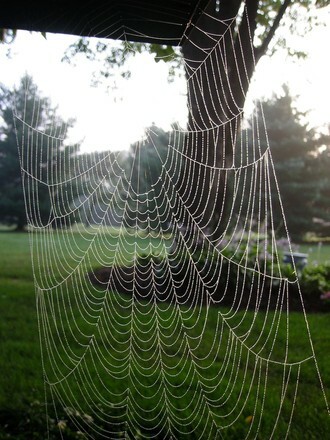 It's easier to tell the truth than to do the tangled web thing that Sir Walter Scott mentioned. It must put a burr under the saddles of atheopaths that science is once again confirming what the Bible said all along. Brain scans are showing what happens to people when they progress in their lying, and how it gets easier. The Bible tells us that people's consciences get seared (1 Tim. 4:1-2), and now science is catching up to this truth. Another issue is that people who reject the God of Creation have no ultimate foundation for morality. There are anti-creationists who call biblical creationists "liars", and I've challenged more than one tinhorn to explain why lying is wrong in their materialistic worldview. After all, we're bundles of chemicals following our electrochemical impulses, so lying, murder, theft, and other things that are generally considered evil cannot be legitimately called wrong! Their views are inconsistent, arbitrary, and irrational. Only the biblical worldview comports with reality and human experience. God hates deceit, but evolution does not, because evolution is not an entity that gives moral guidance. “Oh, what a tangled web we weave, when first we practice to deceive.” True to the old saying, one lie becomes two lies, which become four lies, which can quickly spiral into a web of deceit. New research shows that the more we lie, the easier it is to continue lying. Brain scans showed that the first lie was associated with a burst of activity in the amygdalae, areas involved in emotional responses. But this activity lessened as the lies progressed. The effect was so strong that the team could use a person’s amygdala activity while they were lying to predict how big their next lie would be. To read the rest, click on "A Tangled Web: The Science of Lying Agrees with God’s Word".